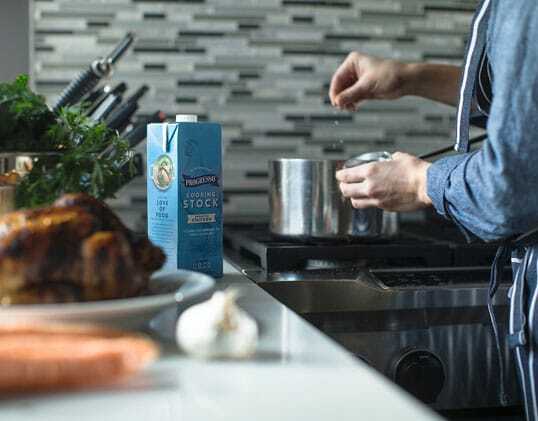 “Progresso believes that real, quality food makes life better. 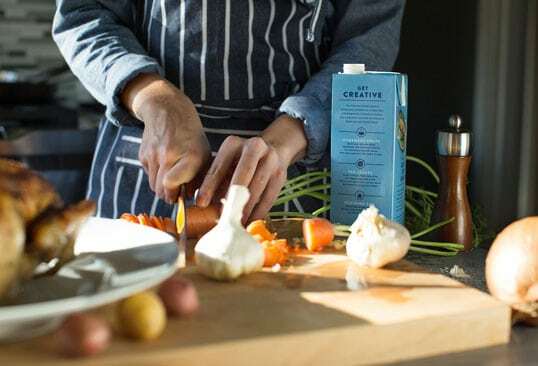 But, how does a brand with over 100 years of heritage design packaging that speaks to loyal supporters as well as more adventurous cooks looking to try something new? 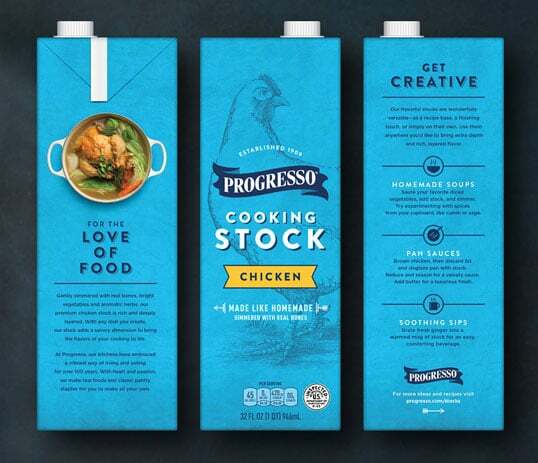 This was the challenge Progresso faced when they partnered with Hornall Anderson to design the packaging for a new line of cooking stocks. “Using lively, classic illustrations, modern typography, and a fresh color palette, we emphasized craftsmanship and love of the ingredients inside. 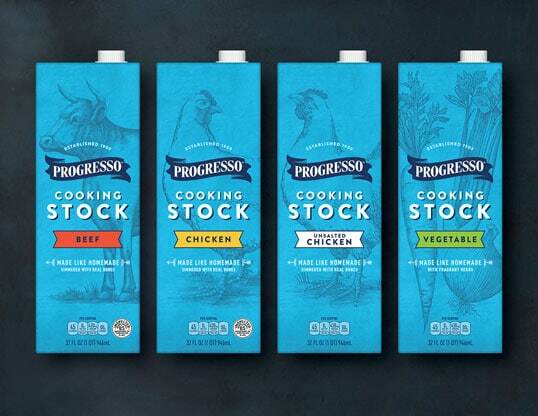 The side of the packaging touches on Progresso’s heritage and love for food, and gives suggestions to inspire our cooks to create their next perfect dish. I have no idea what the product is ??? The packaging looks good though. I mean it will definitely stand out.